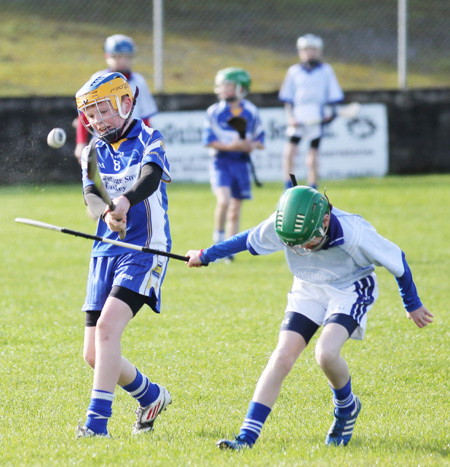 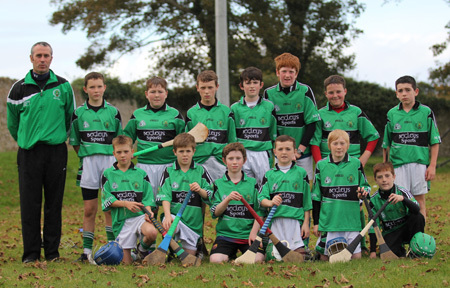 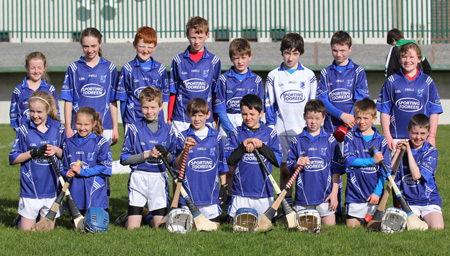 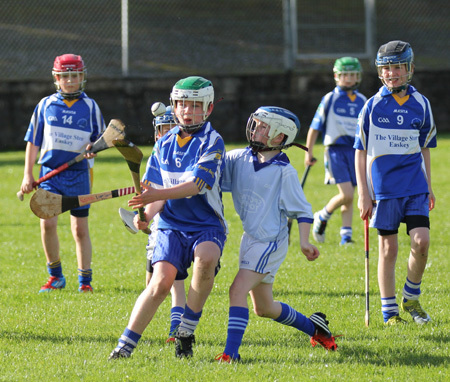 In beautiful weather conditions on Saturday we hosted our annual Aodh � D�laigh under 12 hurling tournament. 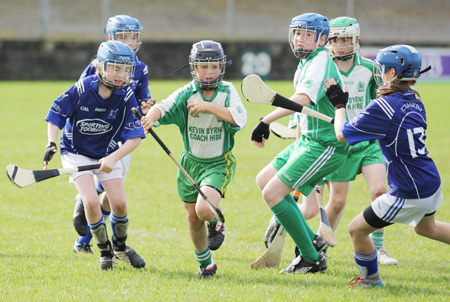 In existence since 1982 this tournament has gone from strength to strength over the last few years, Saturday's tournament ranked as one of the best. 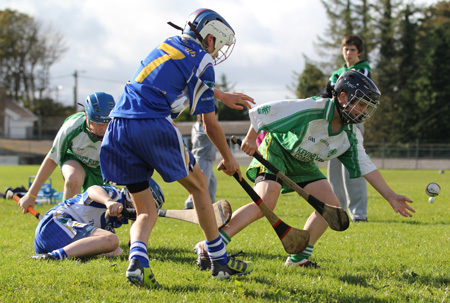 Six teams took part representing five counties. 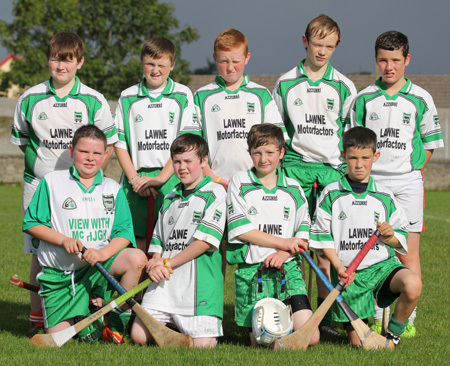 Tooreen of Mayo Easkey from Sligo, Eire �g Carrickmore from Tyrone, Derry city's Na Magha and MacCumhaill's and Aodh Ruadh representing Donegal. 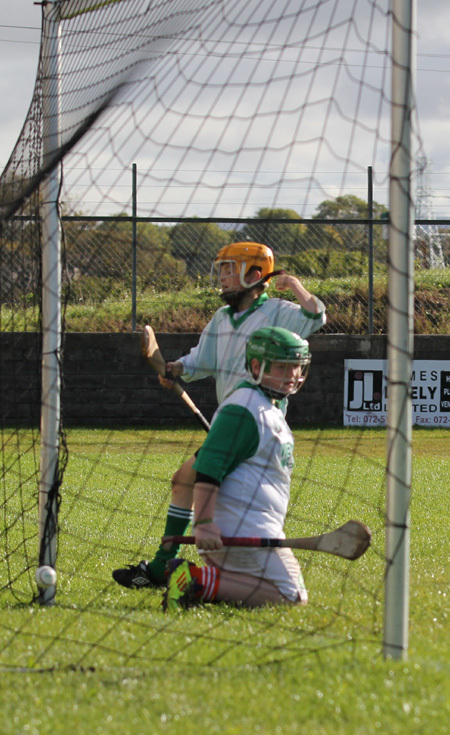 The tournament was played on a round robin basis, the first series of games saw host club Aodh Ruadh take on Donegal rivals MacCumhaill's with the host club reversing the recent result between the teams in the County B final and claiming victory. 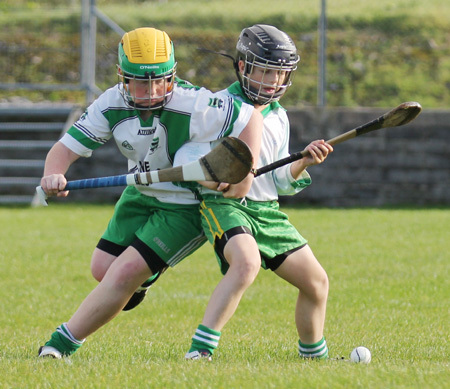 Holders Easkey played Tooreen in an all Connacht battle and the Mayo lads caused a surprise, by claiming a narrow victory. 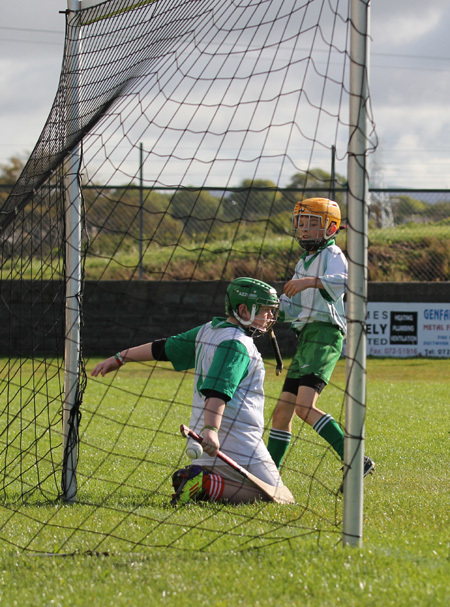 The final game in the first round saw Na Magha play Carrickmore with the Derry men coming out on top. 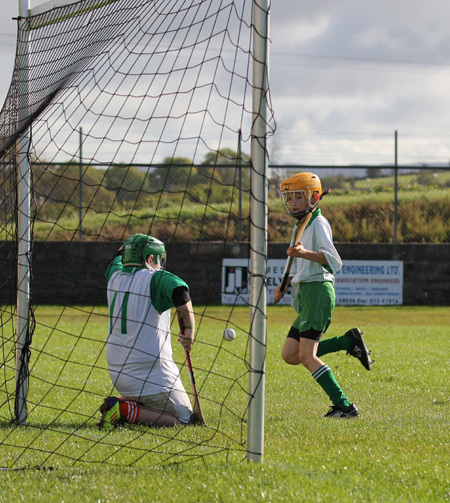 Round two saw MacCumhaill's comprehensively defeat Eire �g, Aodh Ruadh lost out to a very classy Tooreen outfit and Easkey recovered from their first round defeat by beating Na Magha. 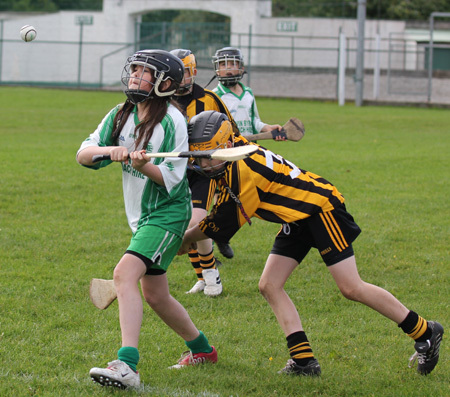 The games were coming thick and fast and all teams were putting in a huge effort and every ball was ferociously contested. 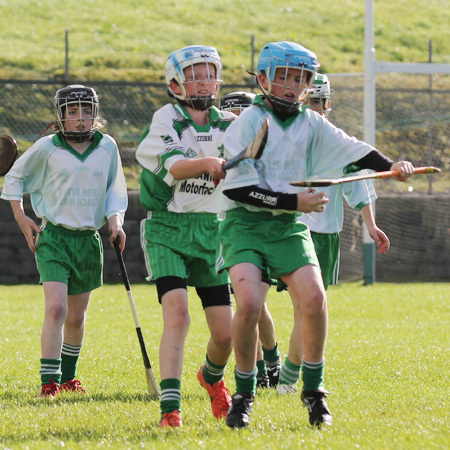 The third series of games saw victories for Easkey over Aodh Ruadh and Na Magha over MacCumhaill's, while Tooreen continued their good run with a win over Carrickmore. 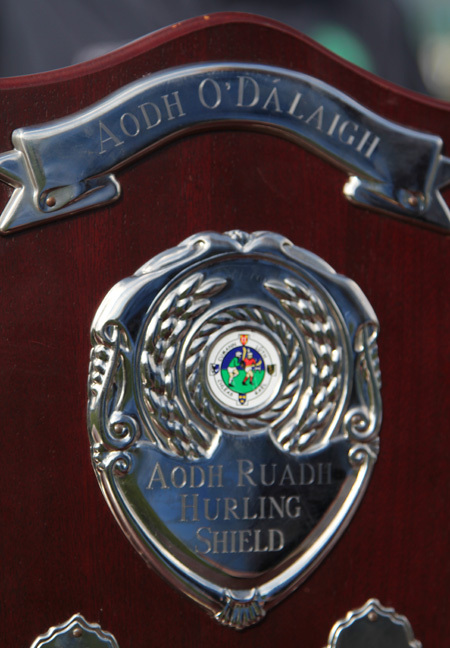 Games were becoming even more competitive at this stage with teams bidding for places in the Aodh � D�laigh final, featuring the top two teams from the round robins stages, and the Primary League final, featuring the sides placed third and fourth. 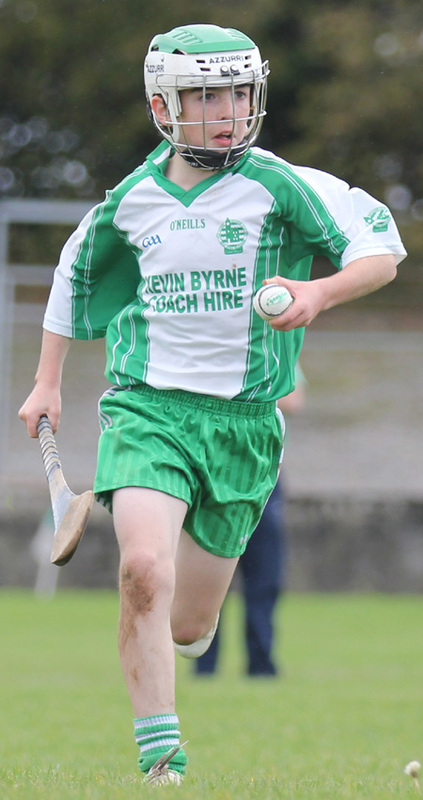 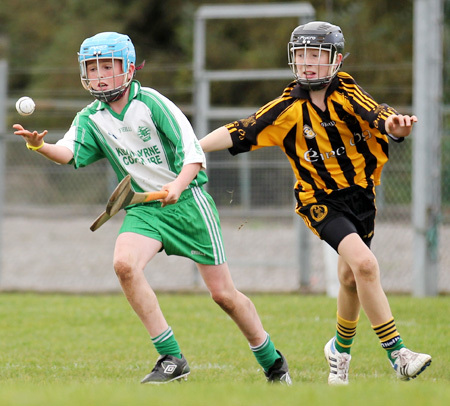 The penultimate round of games saw Easkey winning convincingly against MacCumhaill's, the host club Aodh Ruadh who were improving with every game easily defeated Carrickmore, while Tooreen had a close call against Na Magha before pulling through in the second half and maintaining their 100 percent record. 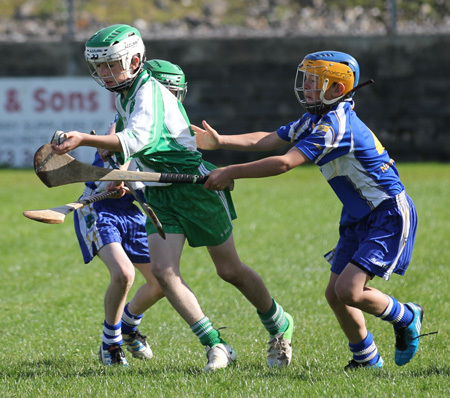 While it looked like Easkey and Tooreen would meet in the Aodh � D�laigh final, the pairing for the Primary League final wouldn't be decided till after the final round of games. 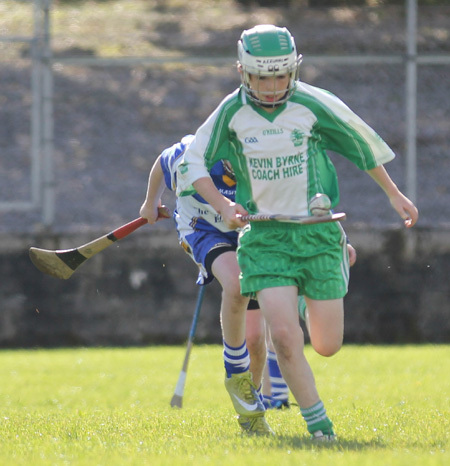 Tooreen finished the group games with victory over MacCumhaill's, after a great battle Na Magha claimed victory over Aodh Ruadh, while Easkey cemented their place in the Primary League final with victory over Carrickmore. 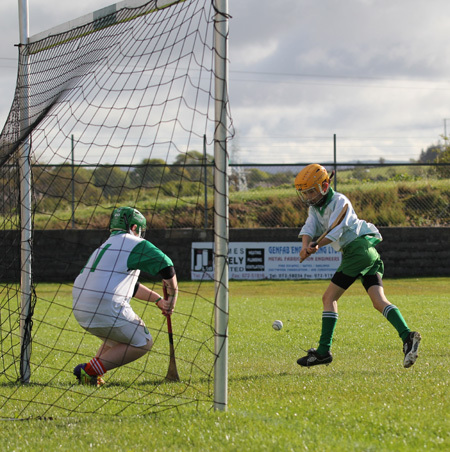 The stage was now set for the two finals and the large crowd present were treated to two tremendous games, where there were some great displays of catching, striking off both side, hooking, blocking and above all great discipline shown by all four teams. 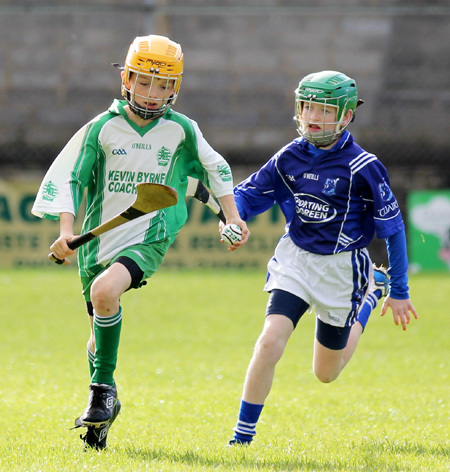 Despite all four teams having played over two hours of hurling they saved their best till last and we had two brilliant finals. 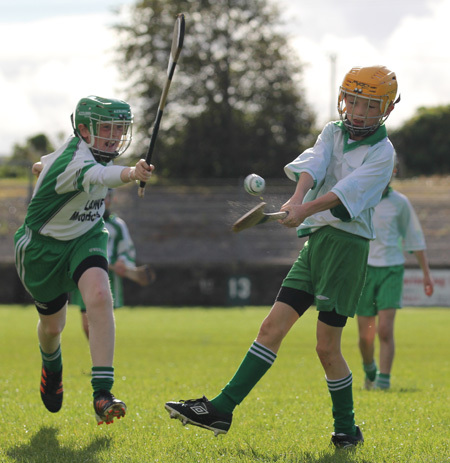 In the Aodh � D�laigh final we had an all Connacht battle between Easkey and Tooreen, this game had everything and both teams threw themselves into it, giving it everything to claim the title. 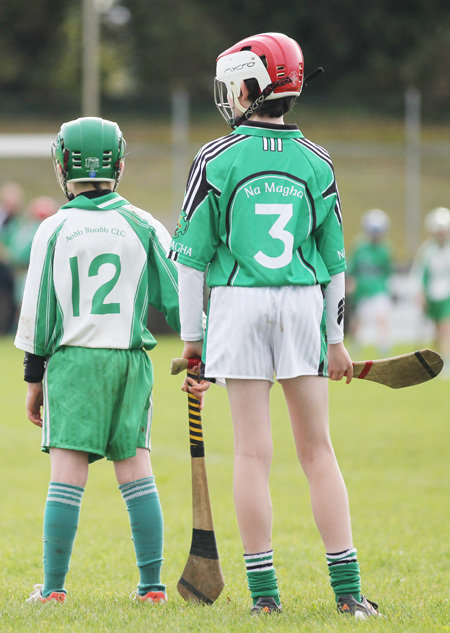 There was never more than a puc of a ball between these two sides. 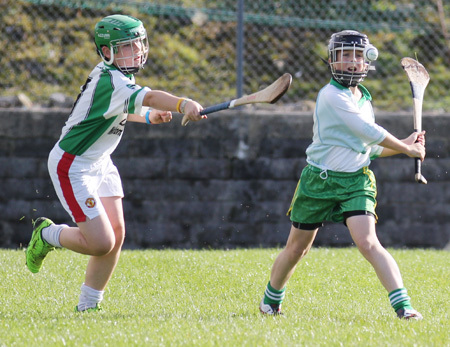 The holders, Easkey, were a stronger team, but the skilful Mayo team, containing a number of girls of which their full back Amy Mulkeen was truly outstanding, pushed the Sligo lads to the limit before finally succumbing on a 4-2 to 3-2 score line. 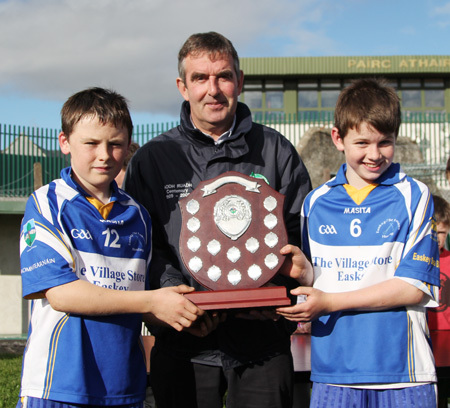 Easkey were delighted to hold onto their title. 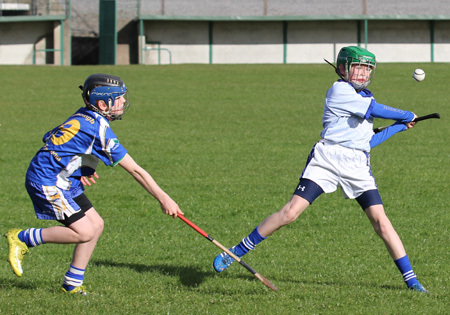 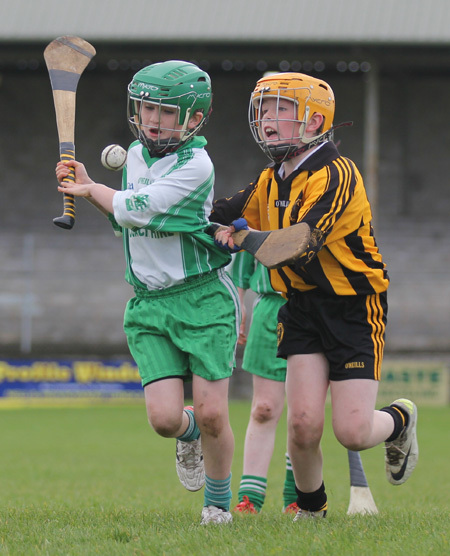 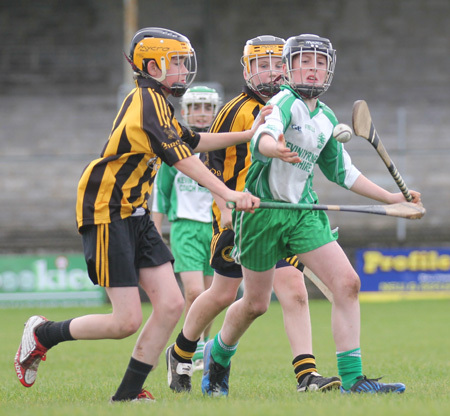 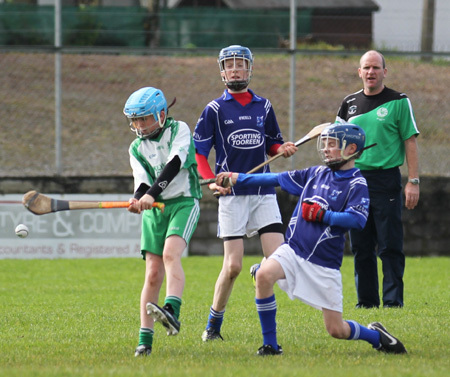 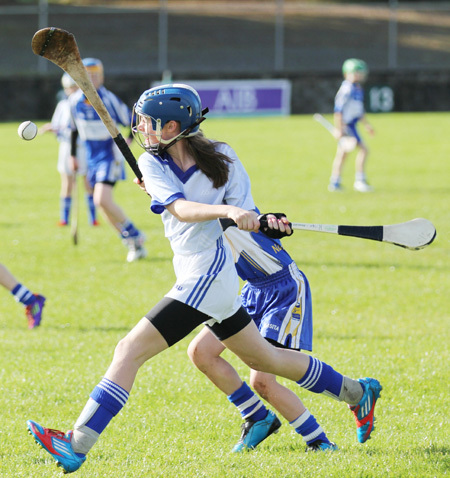 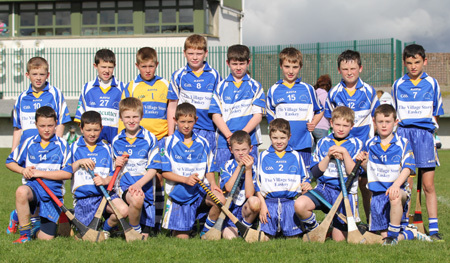 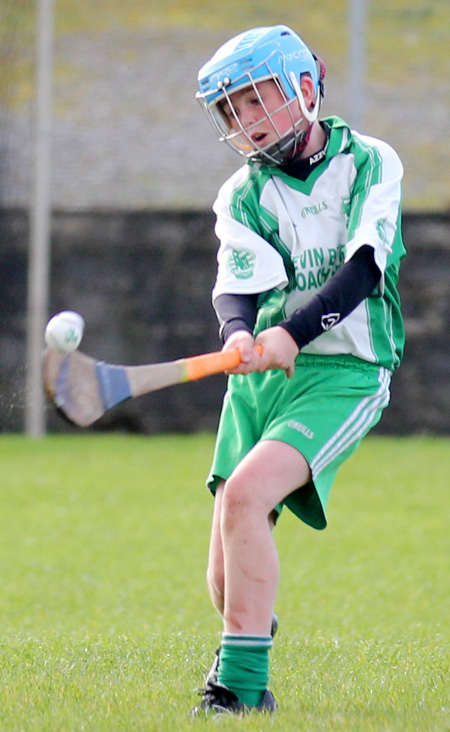 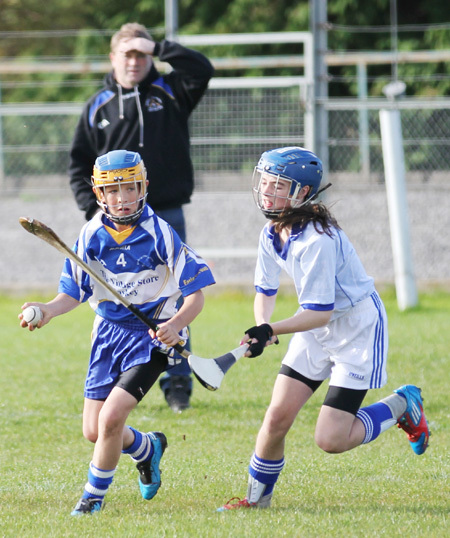 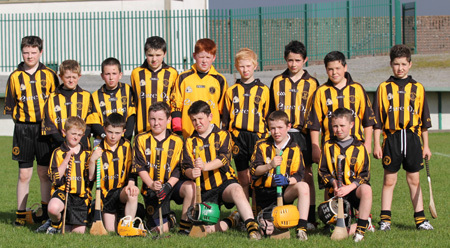 In the primary final Aodh Ruadh faced Na Magha, again this game was contested between two very evenly matched teams. 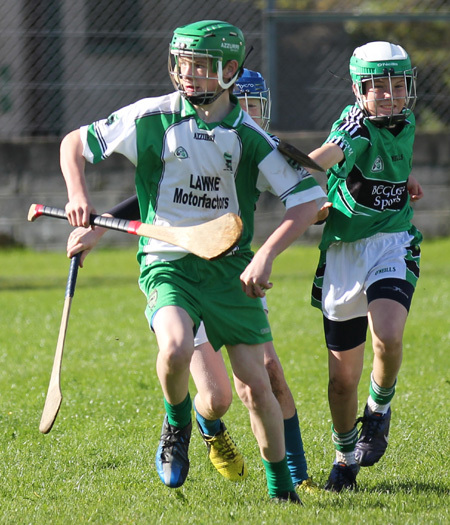 Aodh Ruadh were determined to defeat the Derry lads as they felt they didn't do themselves justice in the group game between the sides and felt some of the referees decisions didn't go in their favour. 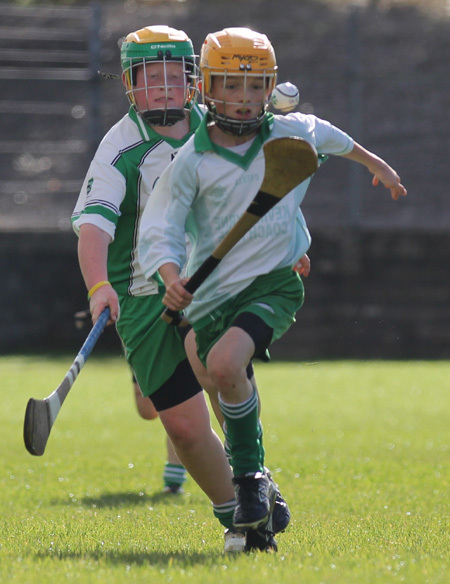 There was only a point between the sides at half time, again both these sides fought for every ball and really wanted to claim the Primary title. 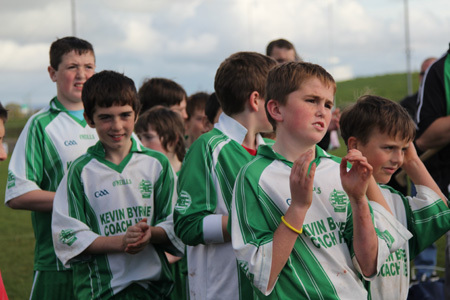 Cheered on by the large vocal home following the Aodh Ruadh lads battled hard throughout the second half. 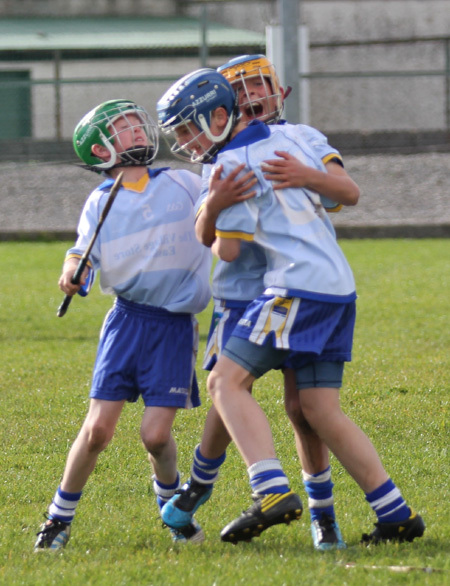 There were great scenes of jubilation at the final whistle as the home club ran out winners on a 3-3 to 3-1 score line. 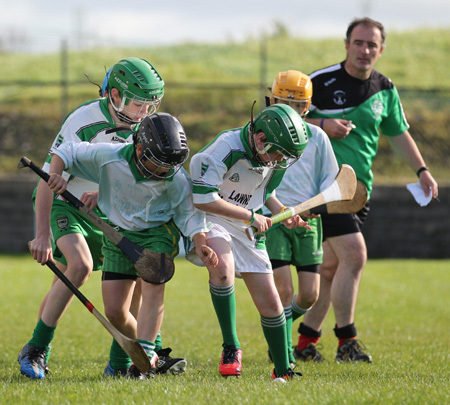 In beautiful sunshine we had the presentations pitch side, Aodh Ruadh Juvenile Hurling Chairman thanked all the teams who had taken part in the tournament, thanked them for the efforts they made coming to Ballyshannon. 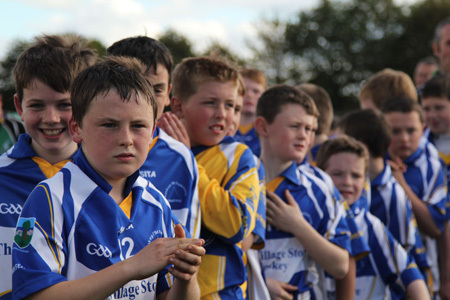 He thanked all the players who had put on a great days hurling, and who played the game in the proper spirit full of honesty and commitment. 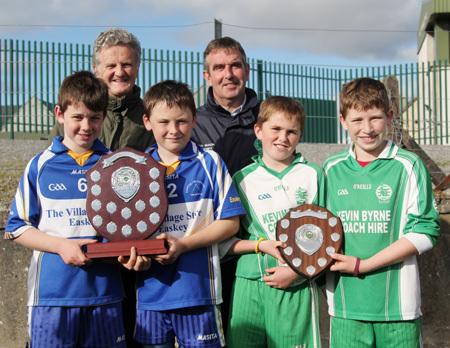 The chairman went on to thank the referees for the day Peter Horan, Chris Kelly and John Rooney. 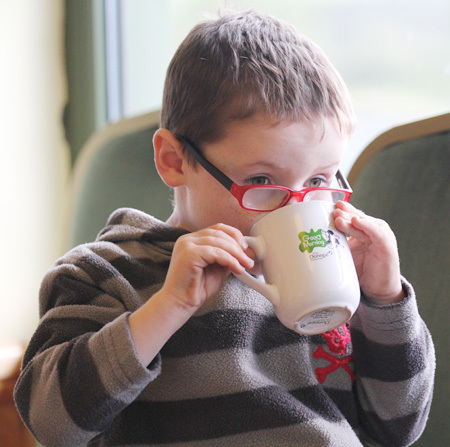 He complimented them on the great job they did. 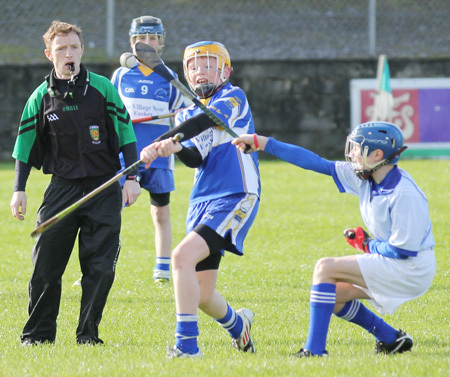 He also thanked Pauric Keenaghan and Pat Faherty umpiring the games. 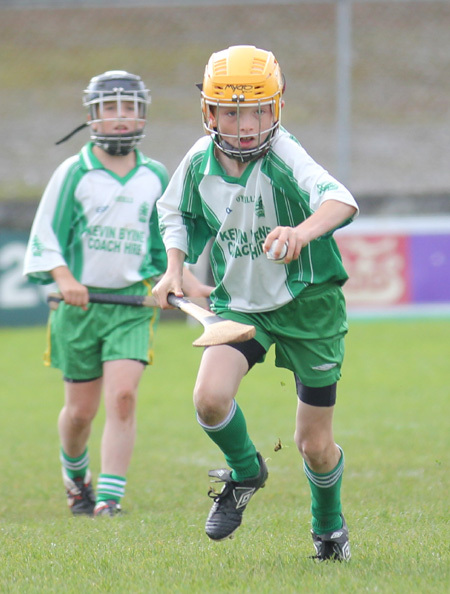 He spoke of the late Aodh � D�laigh and the great contribution he made to the GAA in Donegal and Ulster, he also spoke of how his son Tom Daly former Ulster Council President had followed in his footsteps. 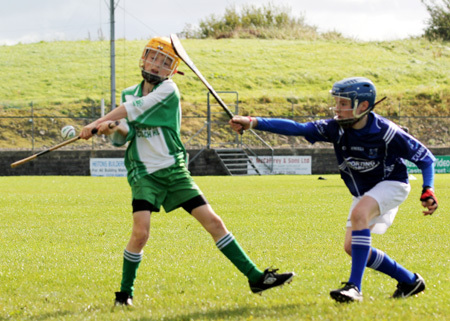 He talked of how this tournament started in 1982 and how men like Billy Finn, who was present, the late Seamus Grimes, Owen Roe O'Neill and Tom Daly were instrumental in setting up this tournament. 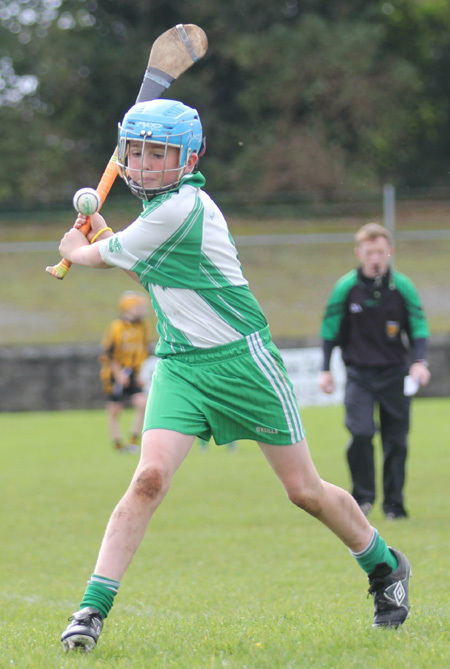 He also welcomed Conor Carney Principal of Holy Family NS to the tournament and spoke of the role the local National Schools played in promoting hurling in the area. 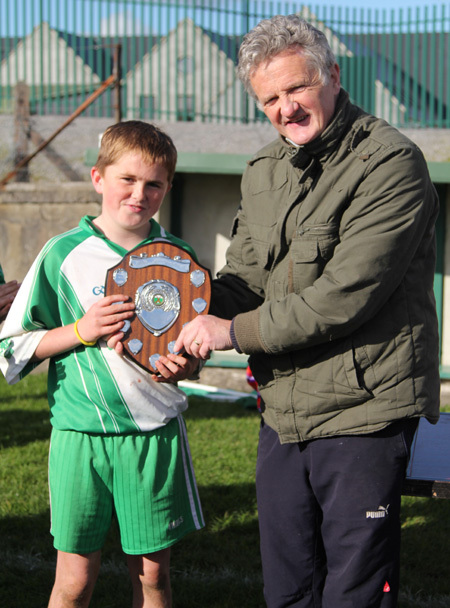 He called on Conor to present the Primary Shield, Conor spoke of the role the late Aodh � D�laigh played in promoting the GAA in the local and national media, he also spoke of the great work being done by the local juvenile hurling committee in promoting hurling in the area. 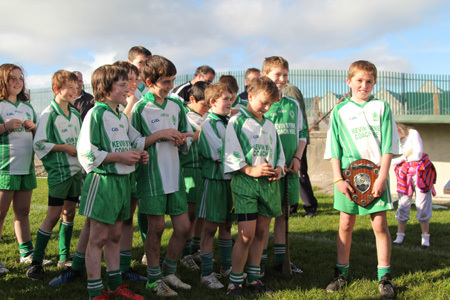 He presented the runners up medals to the Na Magha captain. 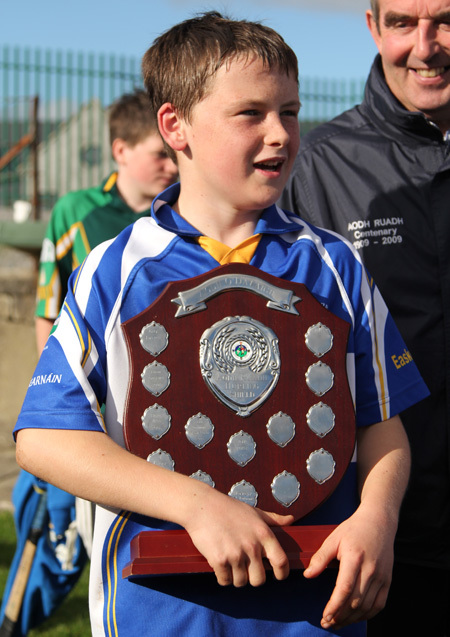 He then called on a very proud Aodh Ruadh captain Pauric Keenaghan to come forward and accept the Primary Shield on behalf of his team. 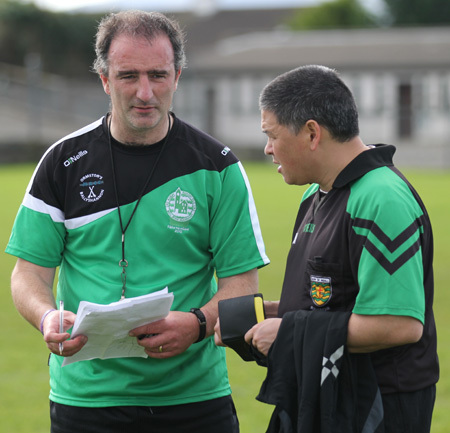 Pauric thanked their management team of Michael Ayres and Kevin McDermott for all their work all year, he thanked Na Magha for a tough hard game and called on all to give them three cheers. 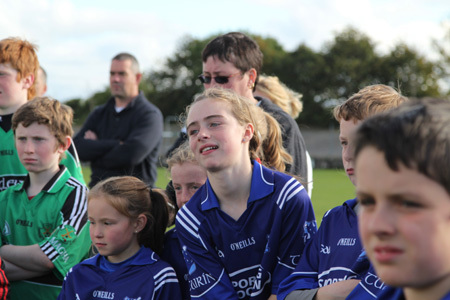 Tom Daly then came forward and thanked all the teams who took part in this tournament in memory of his father, he spoke of how great it was to see teams from Mayo to Derry taking part in this tournament, and new friendships and contacts being made. 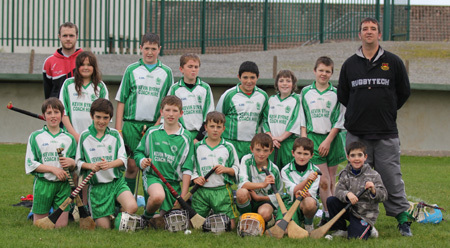 He complimented all the young hurlers on their great skill levels and on their great discipline. 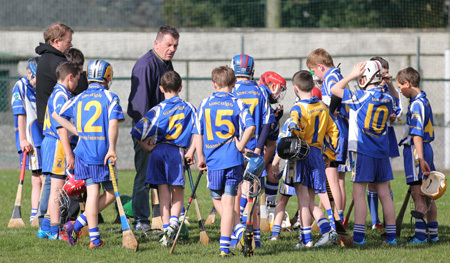 He thanked the local Juvenile Hurling Committee for organising this tournament annually and spoke of the great work they are doing in the club. 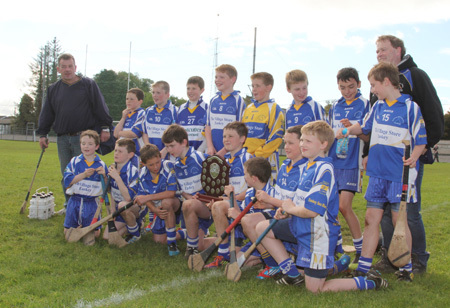 He called on the Tooreen team to come forward and accept their runners up medals. 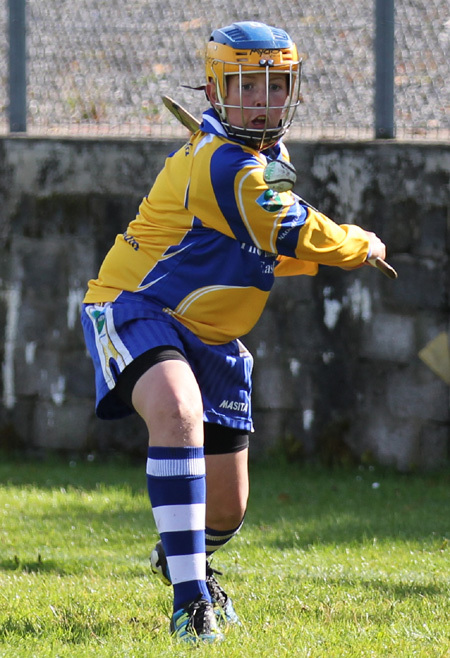 He then complimented Easkey on their victory and commented on how they had now completed two-in-a-row, he called forward their joint captains to accept the Aodh � D�laigh Shield. 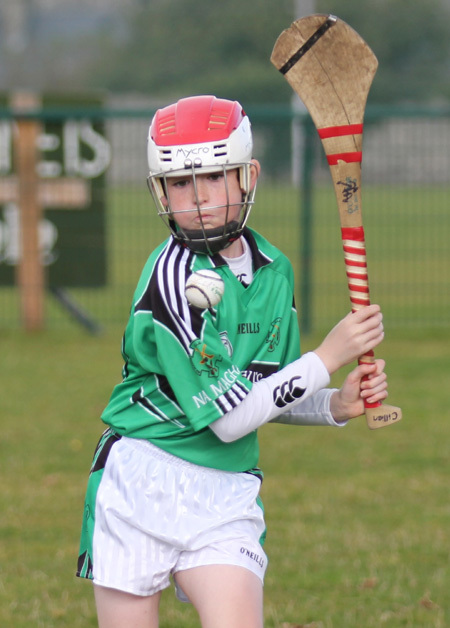 They thanked their management team for all their efforts, Tooreen for a great game in the final and then treated all to their own version of Mike Is Winning Matches! 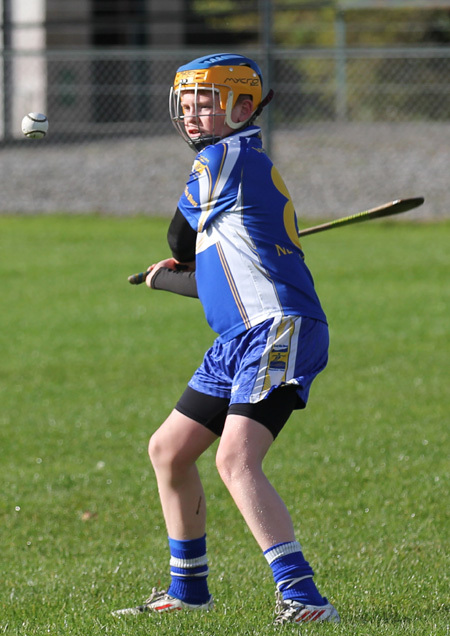 John Rooney finished proceedings by inviting all to Aras Aodh Ruadh for refreshments provided by the mothers of the Aodh Ruadh team, he thanked the grounds men who despite the atrocious weather recently had Father Tierney Park and P�irc Aodh Ruadh in perfect condition. 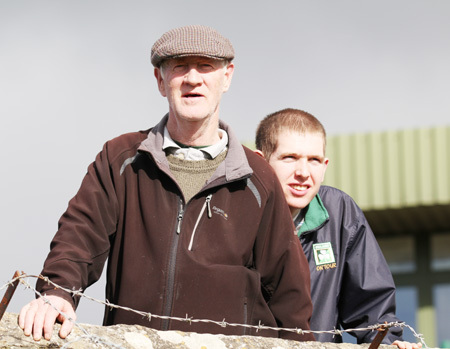 He conclude by saying he hoped to see all back in 2013.